This electric height-adjustable professional examination table by CARINA Medical is excellently suited for GP and physiotherapy surgeries, hospitals and rehab clinics. 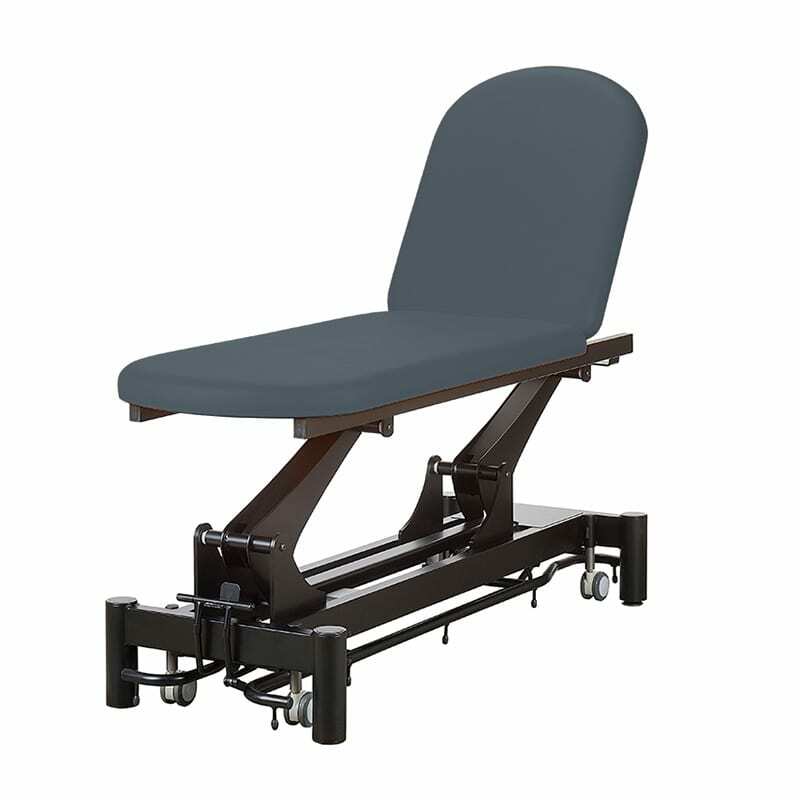 Thanks to the 4 retractable castors, the treatment table is easy to move when necessary, while the imitation leather cover ensures a high standard of hygiene. This professional examination table is available in a comprehensive range of colours to match the main colours of your premises.